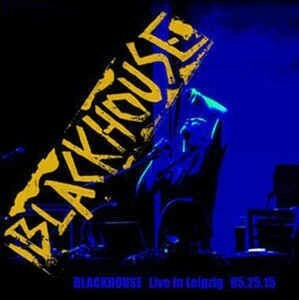 Background/Info: Blackhouse is already a real phenomenon for more than 30 years now. Set up in 1984 by Brian Ladd this project became a real pioneer and veteran of contemporary industrial music. Blackhouse has always struck for peace and love while the music and image has always revealed ‘evil’ and ‘provocation’. I guess it’s not a coincidence if Blackhouse hails from Salt Lake City, which is like the Capital of the Mormons. “Live In Leipzig” was recorded during the famous Gothic Wafe Treffen of 2015. The CD format features 15 songs, which were mainly taken from the early years and recordings of the band. Content: Blackhouse has composed very different releases, but the early ones were more accessible for their typical electro-experimental spirit of the 80s. It definitely was a visionary sound and one of the real first bands experimenting with ‘noise’. 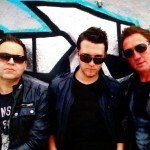 This is an opportunity to rediscover some of the Blackhouse ‘hits’ from the early years. The tracks have been filled with distorted effects, echoing crashes, raw synth lines and tormenting atmospheres. Blackhouse is not exactly composing the kind of music that makes you feel comfortable. Even if Brian Ladd is preaching for a better world, his music sounds like an evil force that will progressively grab you. The vocals are as raw as the music and have something commanding. + + + : I don’t like all Blackhouse releases, but the early stuff, which is mainly featured on this album, is absolutely great. This is music from another world and you will immediately understand why Blackhouse quickly became a reference in the electro-industrial genre. It sounds icy and tormenting, but still fascinating and highly creative. – – – : My only regret about this album is the CD format… I would have liked to see this show on DVD! Conclusion: Blackhouse remains a freaky experience in sound, but still a great artistic exposure of electro-industrial music. If Blackhouse would be a predicator I guess there would be a lot of people reconsidering going to church…. Best songs: “Be Good!”, “Five Minutes After I Die”, “Answers For You”, “Repent!”, “Pro-Life”.